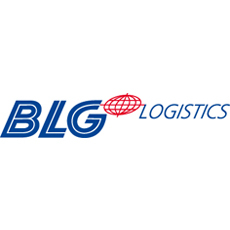 BLG International Forwarding GmbH & Co. KG is a daughter Company of the BLG LOGISTICS GROUP which was established in 1877 in Germany. Nowadays, BLG International Forwarding is operating with own offices in the cities of Hamburg (3x), Bremerhaven, Bremen, Berlin, Munich, Stuttgart, Frankfurt, Cologne Düsseldorf, Duisburg and Niederkrüchten. About 220 employees are ready to serve your needs on Air, Sea, Road and Rail Transport Services. With Airfreight offices on all major Airports in Germany, we are best suited to handle your Export and Import cargoes from or to any place in Germany with its best local service. Our close relation to all major shipping lines offers our Partners best rates and services to any destination. Our strong and German wide sales setup is the right choice for you to develop your new business in Germany or to expand the existing one. The combination of local sales power with a central overseas dept. and an office structure that covers whole Germany, guarantees maximum outcome to sales leads and customer satisfaction.